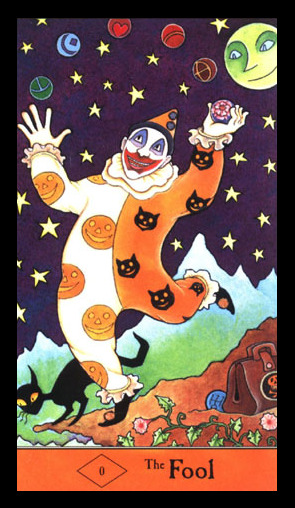 The artwork in the Halloween Tarot is cartoonish and the color is vibrant. The scenes take place at night, so the skies are always dark, which gives the deck a fitting atmospheric feel. A black cat acts as our guide to the tarot as it is featured in every card in the deck.